During the last few years, the American-based company Serene Automation has been working on a rather unconventional product, something which the market has not seen before: RoboSHOOT, a TTL trigger for Fuji X-series cameras that works both with flashes for Fuji and Nikon. The RoboSHOOT is not only the first TTL trigger for Fuji, but it’s the world’s first trigger that translates TTL signals cross-brand. The fact that you are now able to use Nikon speedlites on your Fuji is a big deal for Fuji users. Nikon flashes are better built and much more powerful than anything which is currently available for Fuji. At the moment only the Nikon Speedlight models are officially supported (except for the SB-800), but there are reports that other third-party flashes work well as well. 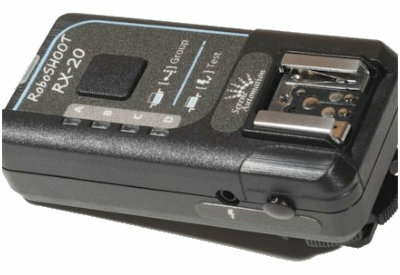 The triggers are tested to work on all X-series cameras, including the X100-series, which feature fast synchronization speeds. There are two different RoboSHOOT models available: the 15 and 20 series. 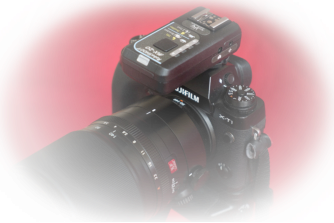 The main difference between the two triggers is the possibility to use Nikon flashes, which is only supported with the MX-20 and RX-20. Besides that the MX-20 also distinguishes itself by being able to connect your Android or iOS device to it. Using the app you are able to change the settings for each individual flash. Serene Automation has told us that the units will start shipping mid December. They can be purchased on the website starting at $199 for a set of the basic triggers. The more advanced triggers which support Nikon flashes will cost $299. Please note that these prices may increase after the pre-orders stop. Visit www.sereneautomation.com for more information.